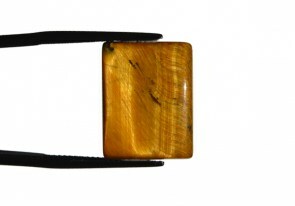 Quality Tiger's Eye gemstone for all kinds of gemstone jewelry. 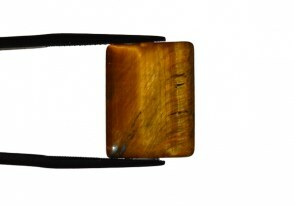 Tiger's eye is a gold-brown, opaque gemstone variety of fibrous quartz. More specifically, it is a variety of macrocrystalline quartz. However, unlike most quartz gemstones, tiger's eye is actually a 'pseudomorph' of quartz. A 'pseudomorph' is what geologists refer to as any mineral that transforms into another mineral. 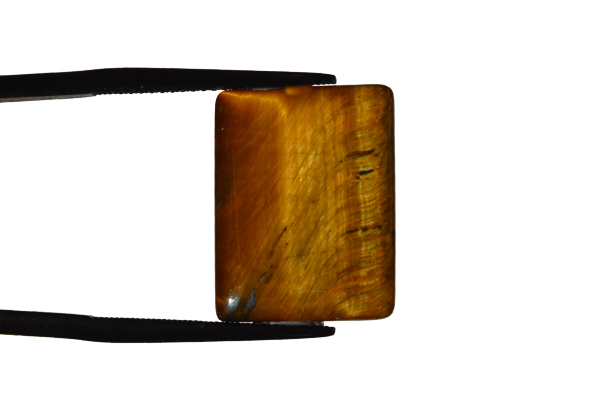 In the case of tiger's eye, it began as crocidolite, but was later transformed into quartz. Tiger's eye was used in ancient times by warriors and soldiers for protection and for its ability to give its wearer courage.